Eliská collaborated for this project with a London based architect. 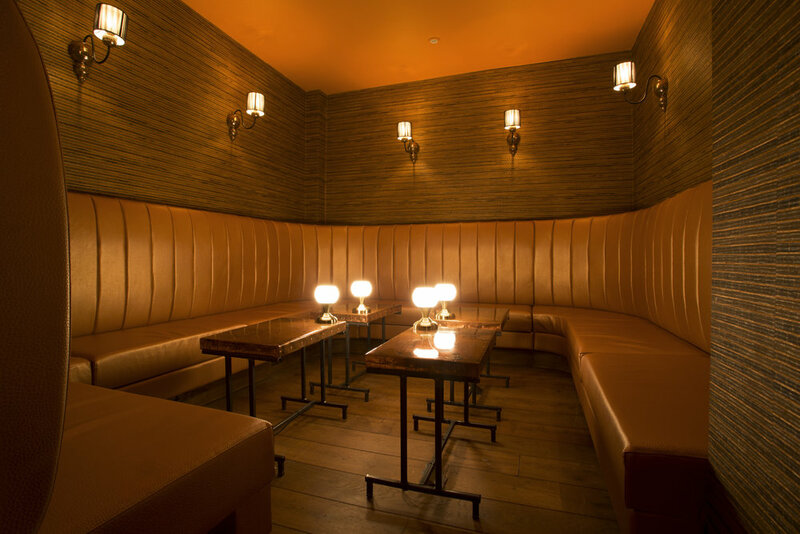 The bar was being split into two separate entities and Eliská worked with the clients to coherently differentiate the spaces through clever design, to a budget. 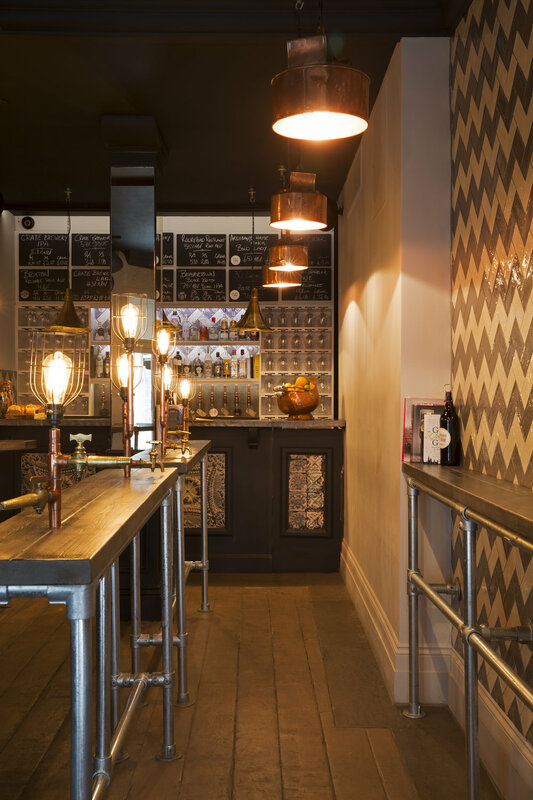 The clients were installing a craft beer and Prosecco on tap bar as the ground floor, and wanted an atmospheric cocktail lounge in the basement. 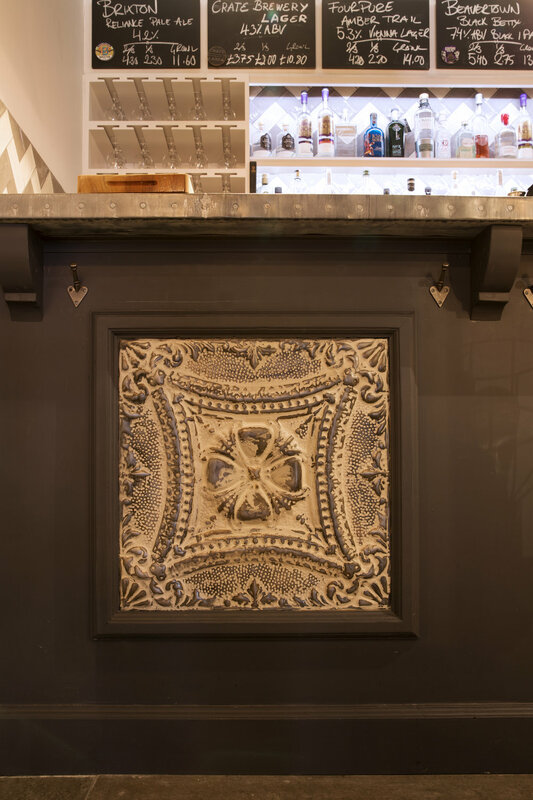 The entrance bar brought together a cool toned monochromatic colour scheme and industrial accents such as metro tiled walls , exposed steel and wooden bar tops and embossed pressed tin panels to the bar front. 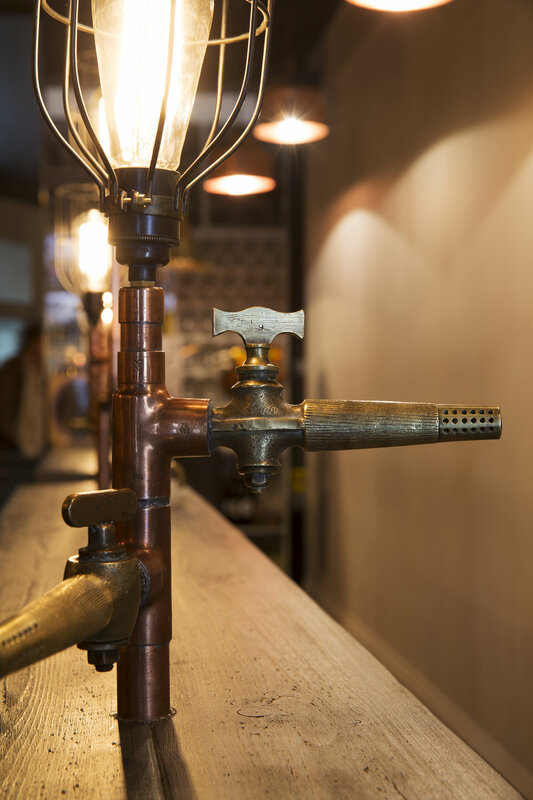 Eliská involved a lighting designer to produce playful industrial fixtures in the bar- such as tap fittings which featured as lights. 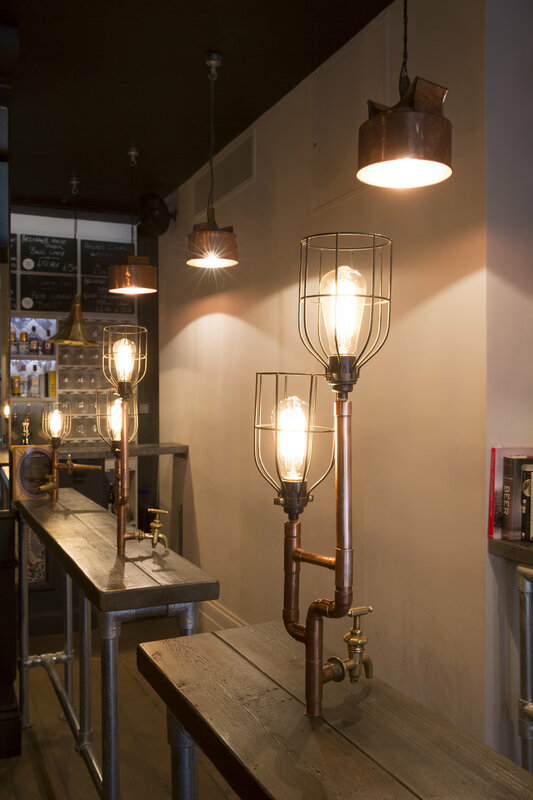 This industrial feel was contrasted to the basement lounge bar, where mood lighting and a scheme of deep amber was complimented by the bespoke, riveted copper bar with matching accessories.